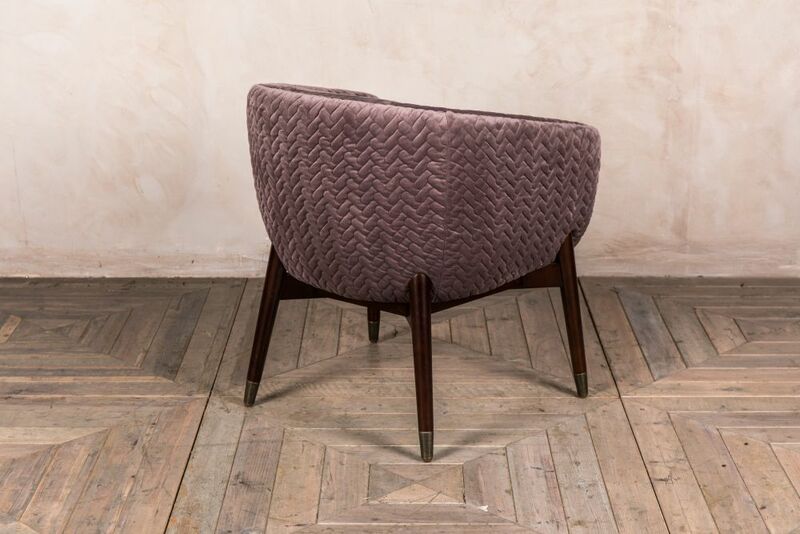 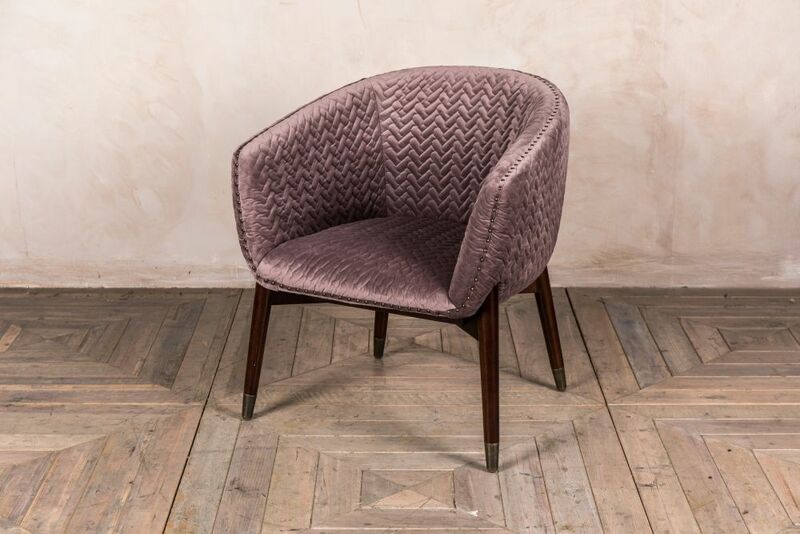 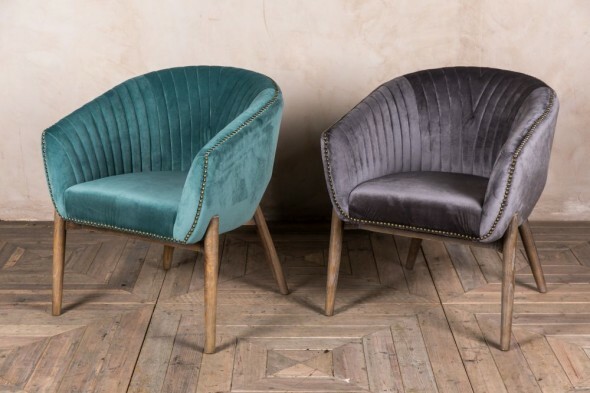 Our ‘Bavaria’ velvet tub dining chairs would be a fantastic addition to any vintage or retro style interior. 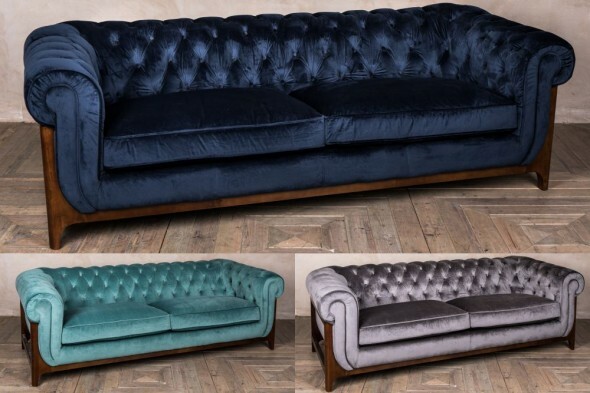 Their stylish colours and plush velvet upholstery would make them a stunning feature in any dining room, restaurant or bar. 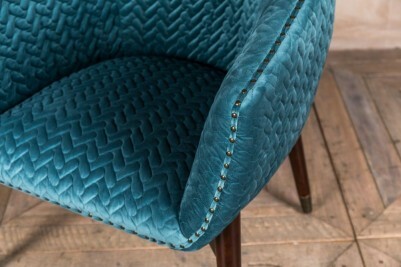 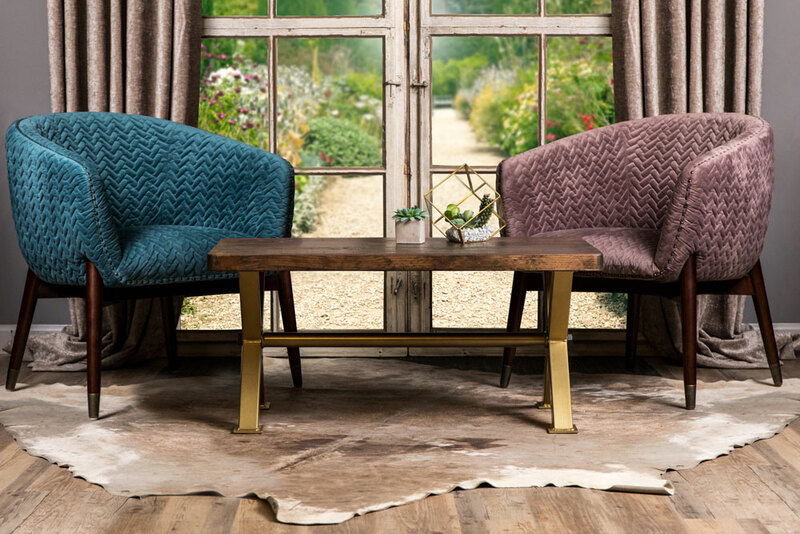 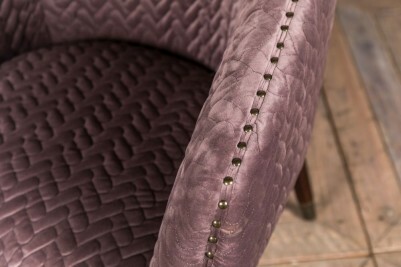 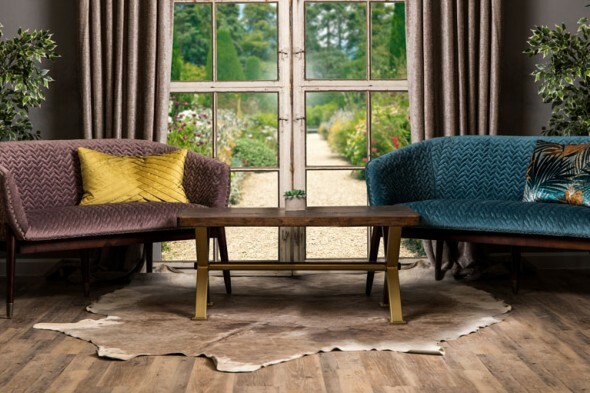 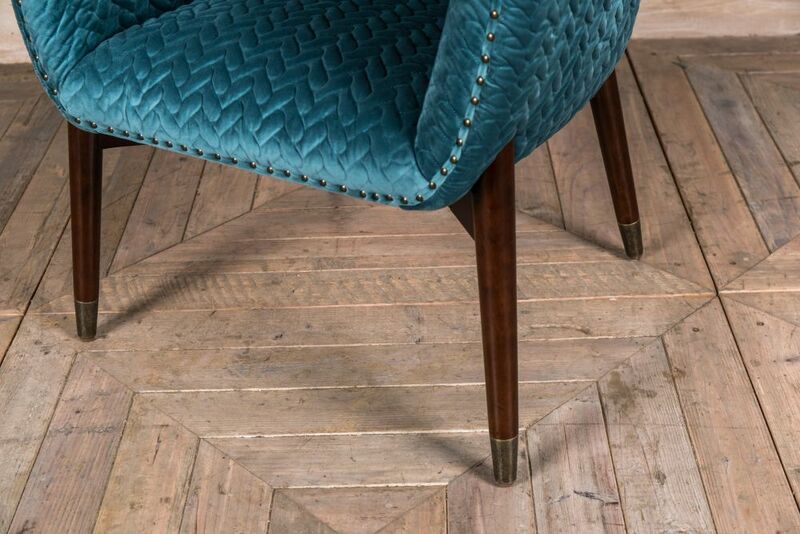 The chairs are upholstered in soft textured velvet, and available in two colours: mink and teal. Small brass studs around the edges pull together the look and coordinate well with the walnut colour frames. 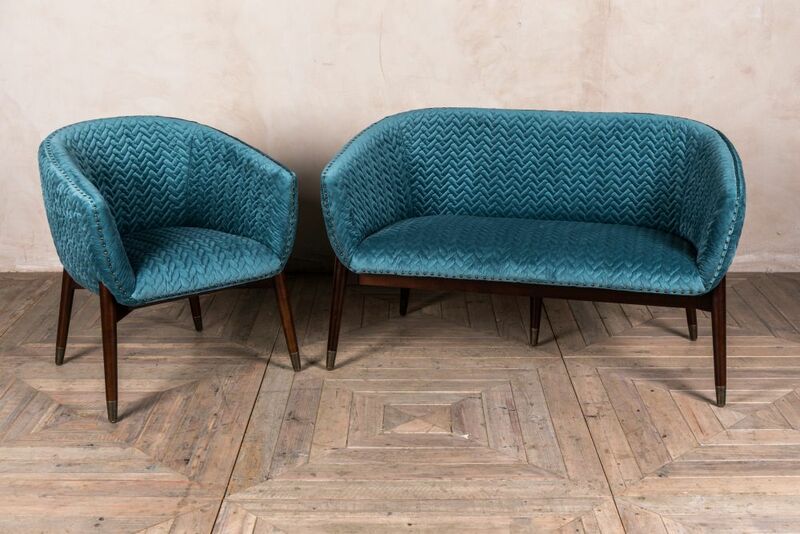 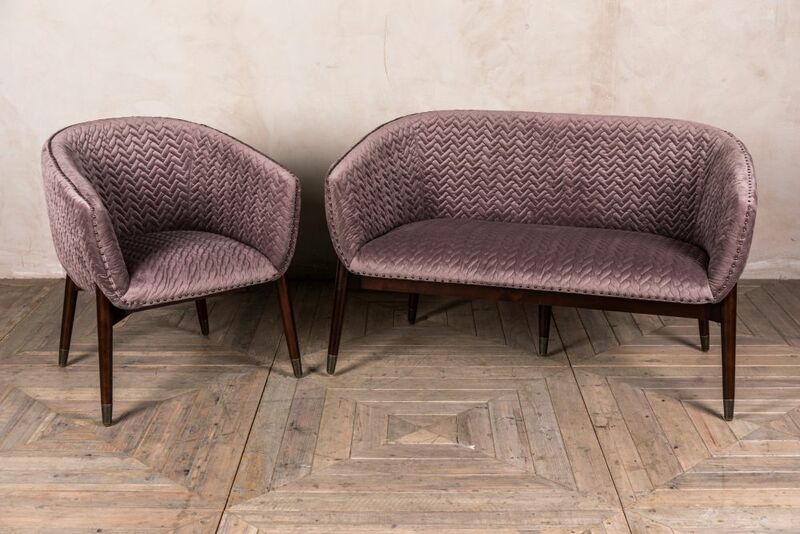 These chairs are ideal for use as dining chairs; however, their luxurious mid-century retro design would make them perfect as feature chairs in a vintage interior, bedroom or hallway. 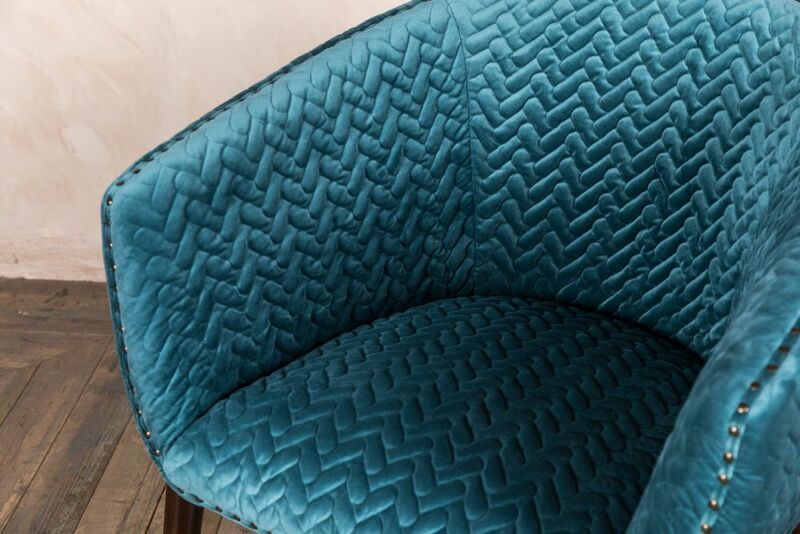 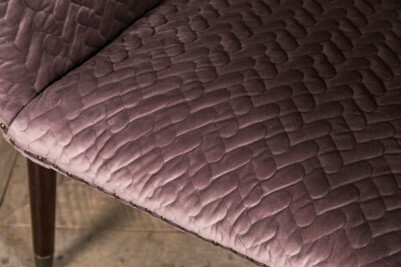 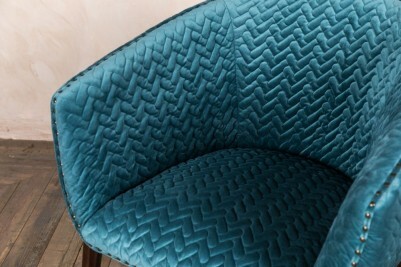 We also stock ‘Bavaria’ velvet loveseats in mink and teal, which match these quilted chairs perfectly. 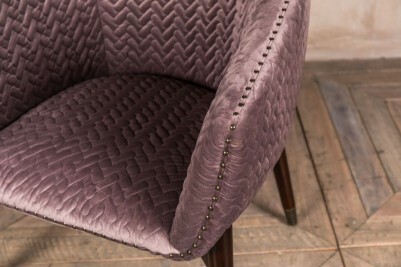 The velvet tub dining chairs paired with the loveseats would work really well in a hotel lobby or bar area. 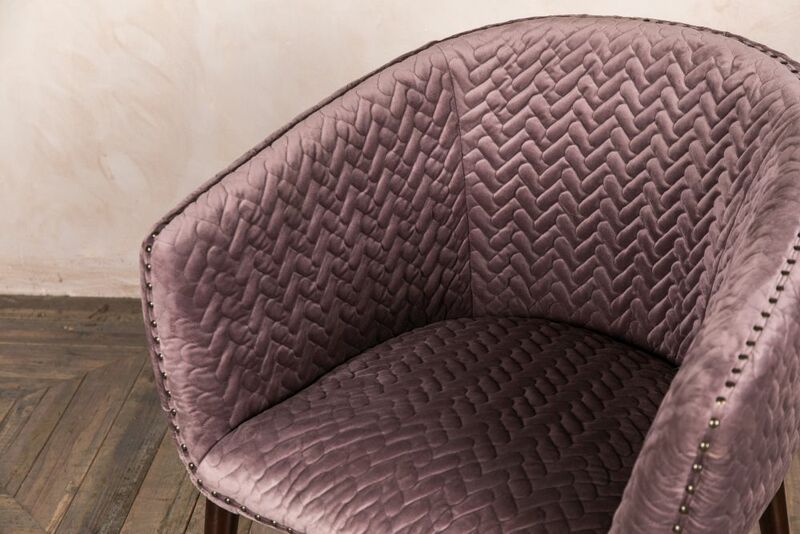 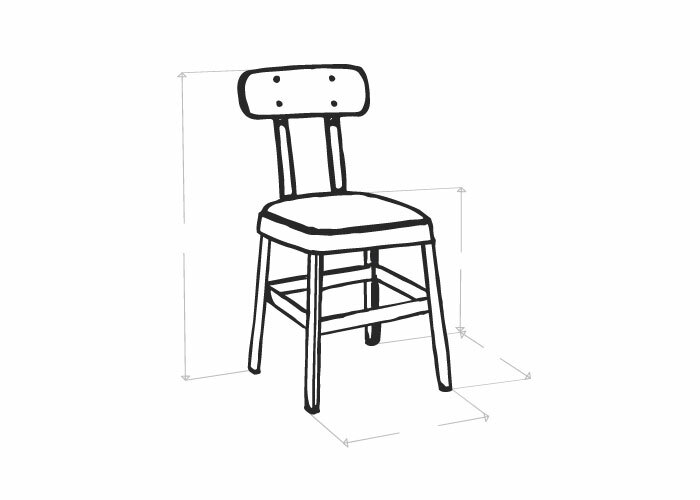 Browse our full collection of armchairs and sofas online or visit our showroom.